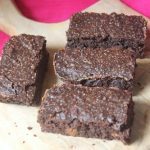 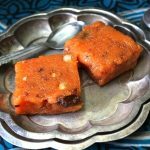 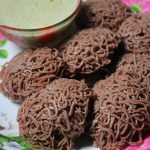 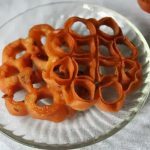 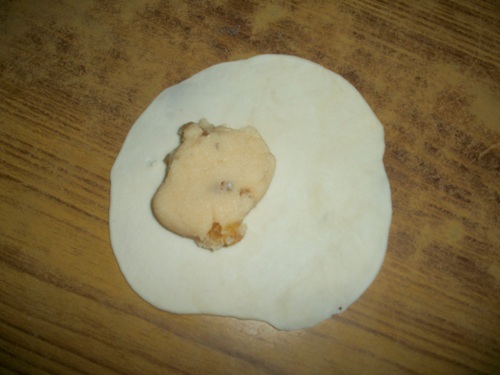 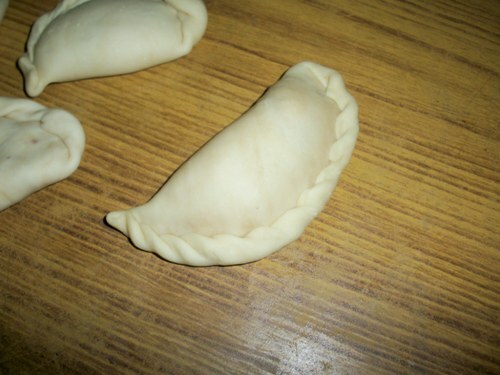 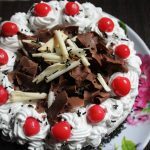 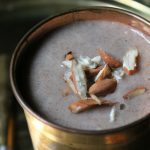 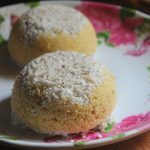 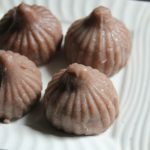 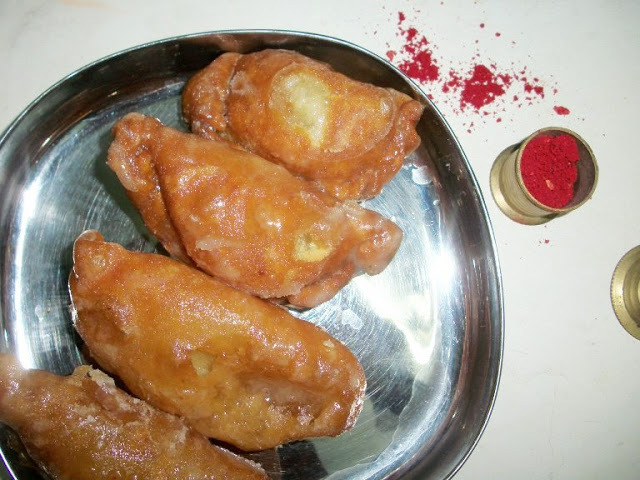 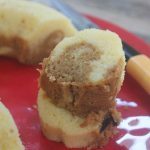 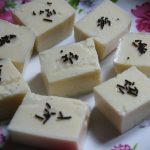 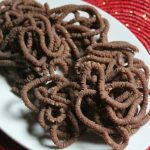 This one is very same as Suryakala which I will post now…But the shape varies…So I hope you will check that recipe too..
Chandrakala is a half moon shaped sweet which is really really tasty one.. 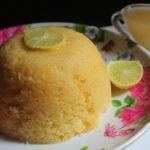 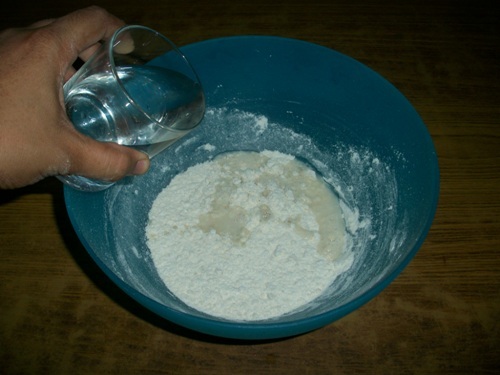 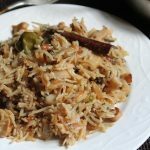 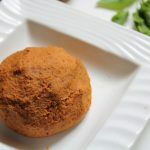 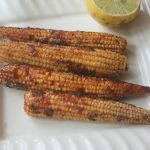 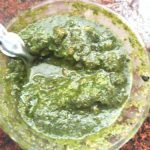 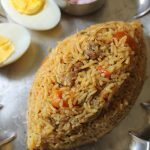 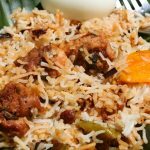 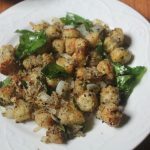 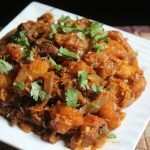 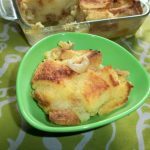 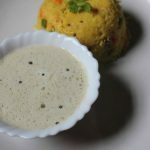 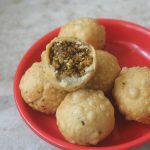 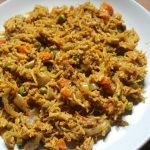 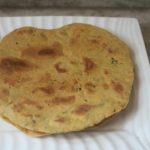 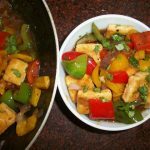 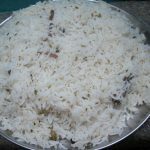 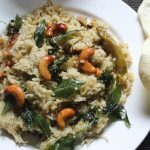 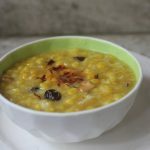 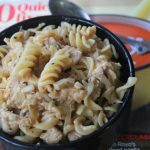 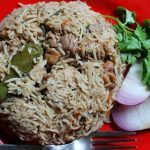 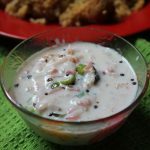 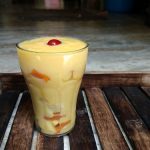 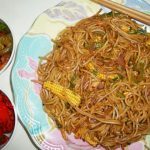 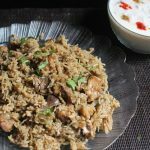 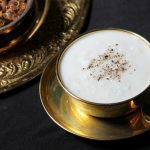 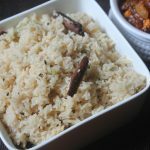 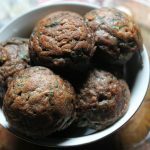 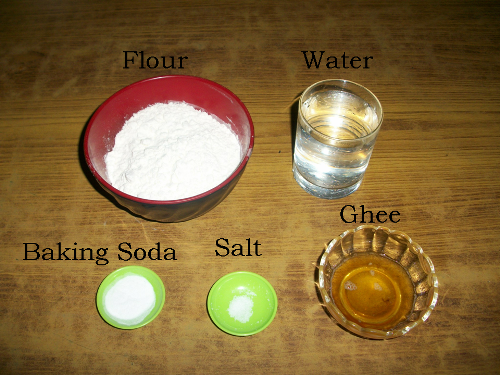 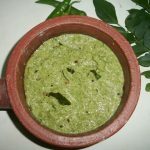 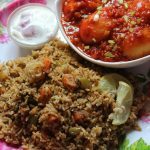 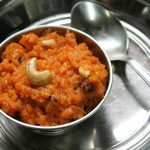 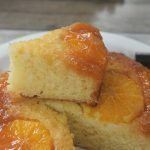 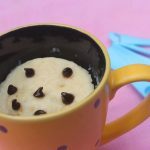 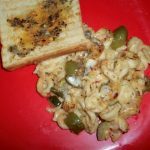 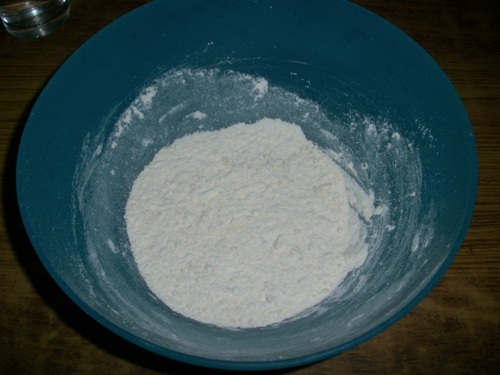 This recipe goes to Blogging Marathan-Day 1 for the theme “Indian Festival Food with Step by Step pictures”..
Take flour,salt,baking soda and ghee in amixing bowl and mix together.. 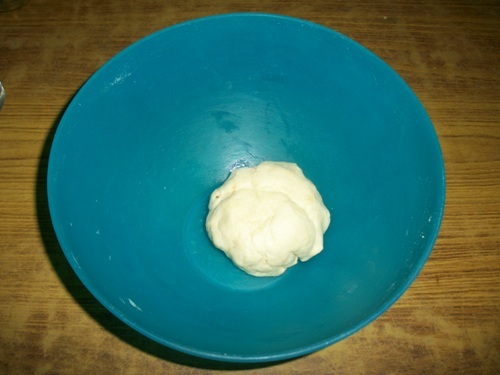 Slowly add in water and make it into a dough(fairly soft)..Knead this dough for 5 mins so that it gets soft and manageable..Apply some ghee over the top and knead it once..
Cover this with a damp cloth and let it rest for 30 mins. 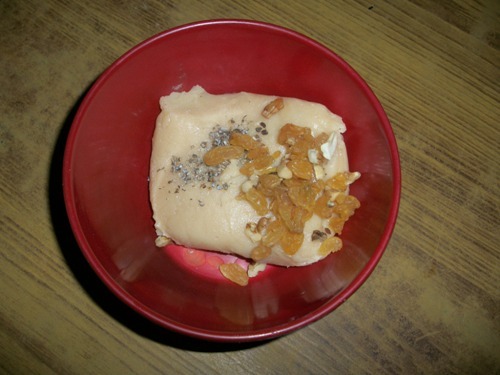 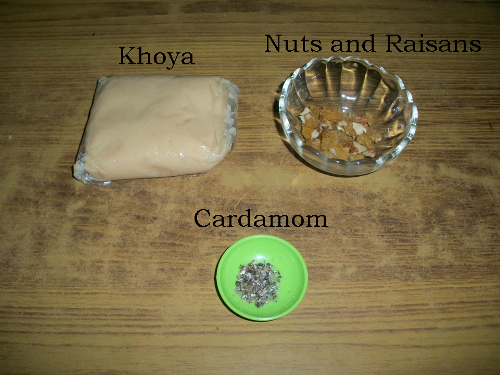 Meanwhile make the filling by mixing sweetened khoya, nuts, kishmish and cardamom together..Set this aside for a moment. 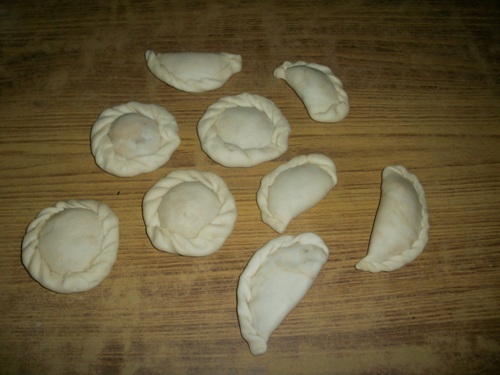 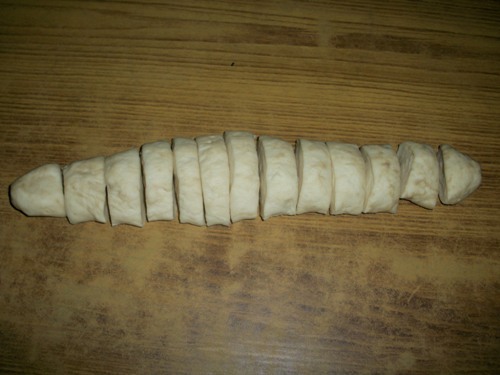 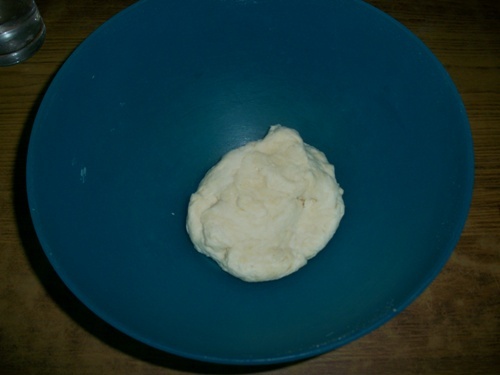 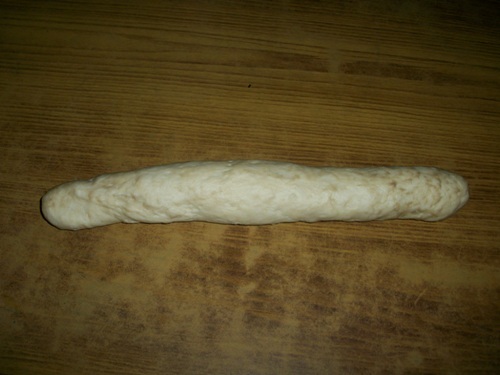 Now start making the sweet…Take the dough out and divide into equal portions depending on how big you want your sweet to be..
For making Chandrakala…Take one dough ball and roll into thin puri..Now take that circle and put some khoya filling in one side.. 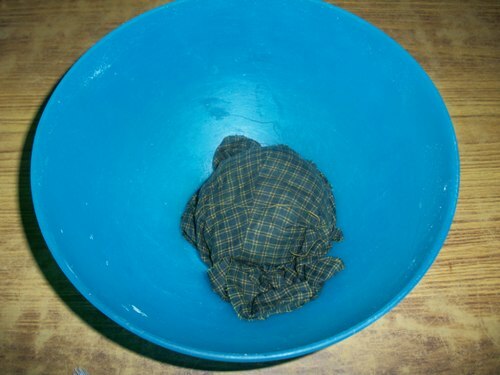 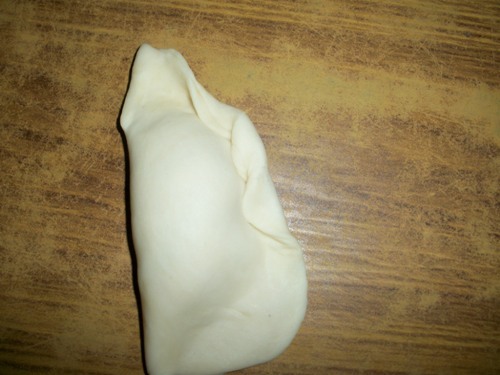 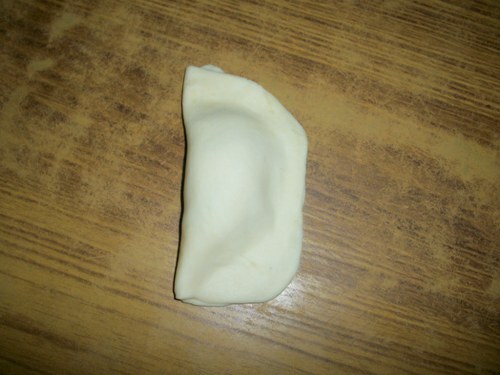 Apply some water around the edges….Now fold it in half..
Now from one end start folding in a angle and finish it to the end..(Check images for detail). 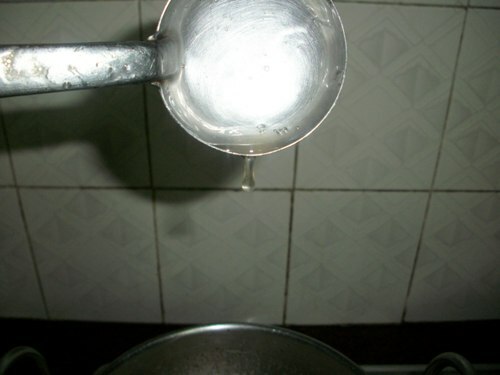 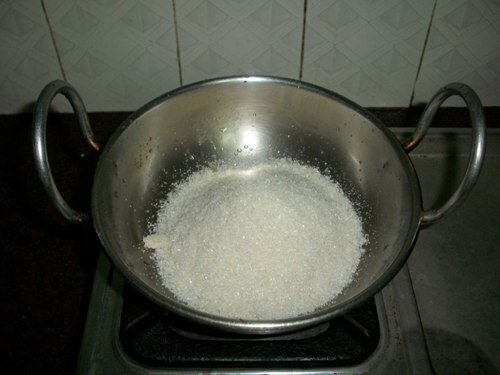 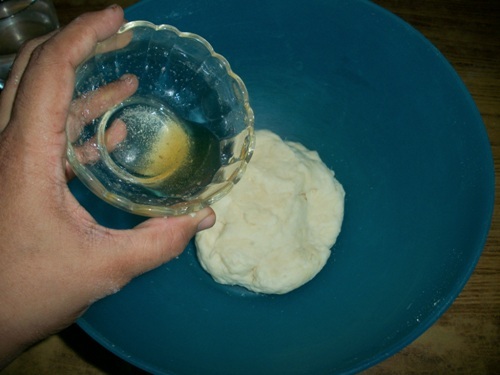 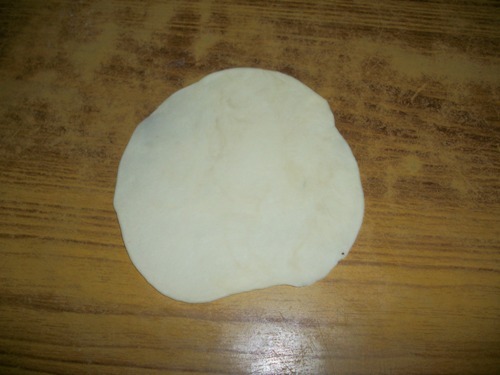 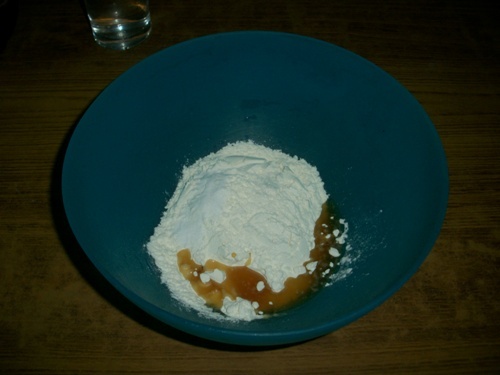 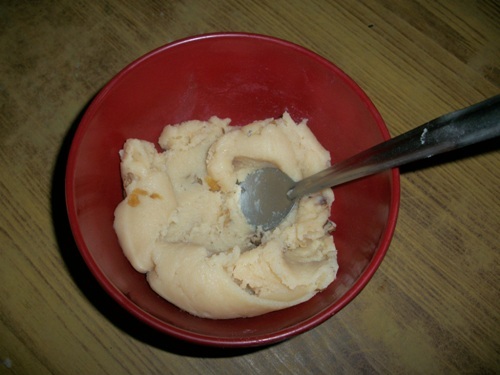 Do exactly this to all of your dough..
Now make sugar syrup by taking sugar in a kadai and cover it with water..Bring this to boil and let it boil till it reaches one string consistency..
(ie) if you take the sugar syrup in a spoon and drop it..The last drop which falls from the spoon will form and string.. 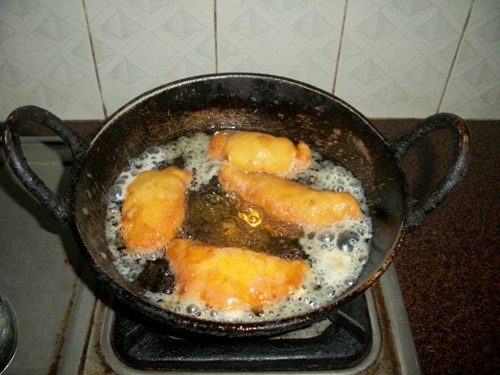 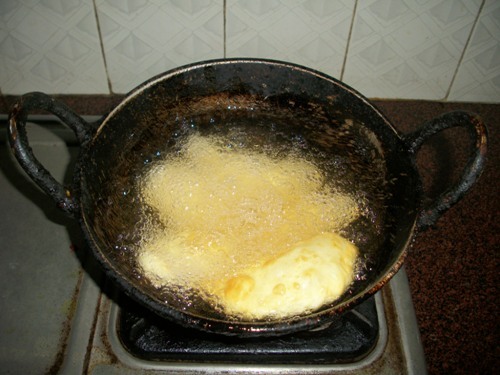 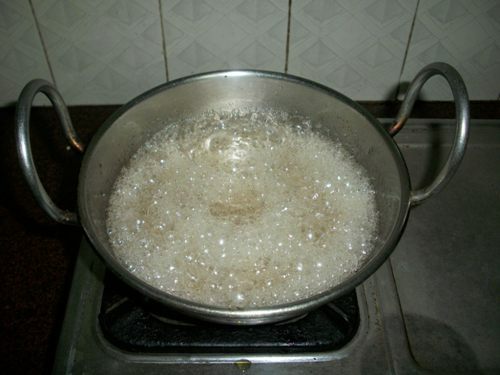 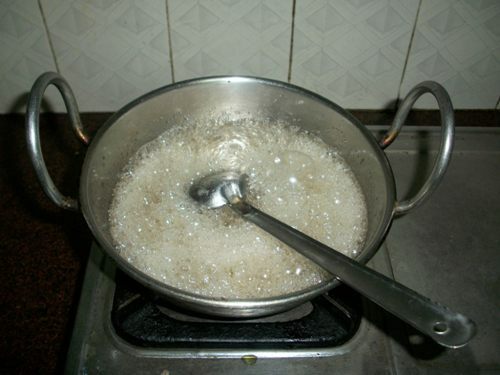 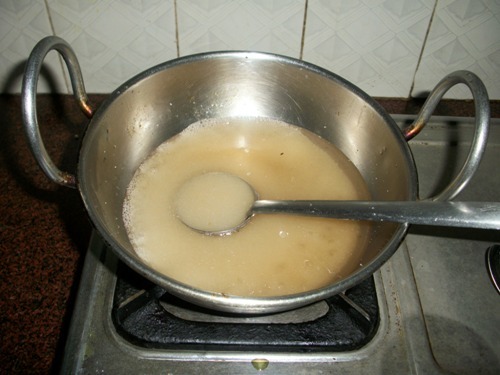 While you start making your sugar syrup..Alternatively bring oil for deep frying..so that as soon as you are done frying your chandrakala you can dip it in the sugar syrup..
Now fry your chandrakala on a low flame till it gets golden and crispy..It will take around 10-15 minutes. 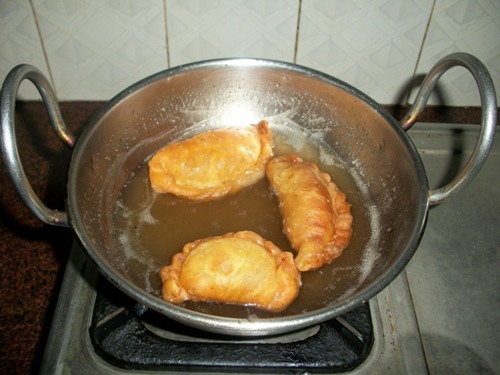 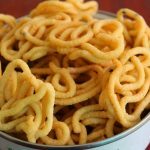 Now dip this chandrakalas in hot sugar syrup and take it in a cooling rack..Store it in air tight container.. 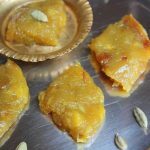 Enjoy your Diwali with these dazzling sweets..
Yummy and delicious sweet ,one of my fav..Thanks for visiting my space,glad to follow you dear. 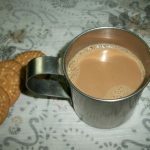 Too good..looking fwd to the others aarthi.. 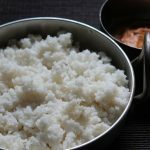 I think I am partial to the Suryakala! 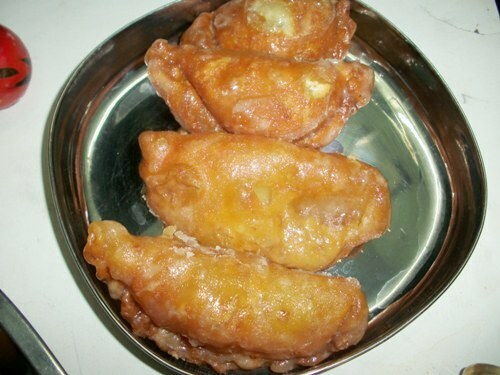 Yummy!whatever kala i would love them all.